This is not the story I intended to write. Sometimes, stories write themselves and this is one. It was intended to demonstrate that an Australian designed and built car could compete against the super cars of Europe in their own terms, and win. Instead we have learnt that our erstwhile opposition treasurer now thinks that he is in government, cutting funding to a large part of our manufacturing industry is a great place to start. Holden and Toyota are the only two auto makers left after Ford announced it was quitting Australia to become an importer instead. Regardless of politics, what was to be the proclamation of the best car ever to be designed and built in our country is instead to be its obituary. The great Aussie Muscle Car is dead, long live the Aussie Muscle Car (to be made in the USA or Korea, or Europe). People over use this phrase, but it is with a heavy heart that I write the story of the best car ever produced and designed in Australia, will probably be the last. I apologise in advance for the sombre tone but perhaps we can celebrate what we have while chiding our government on what is possibly the single worst decision ever to be made by either side of Australian politics. Delicious. 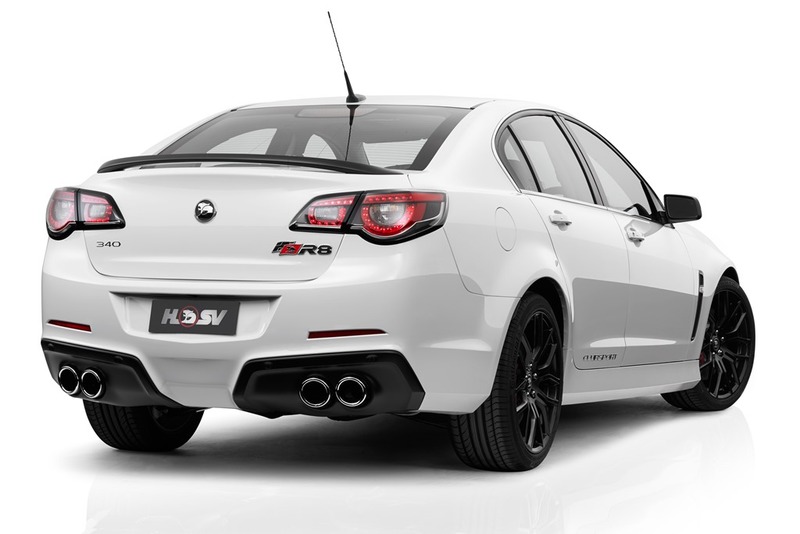 The classy exterior of the stock standard Commodore has been given the HSV spit and polish. 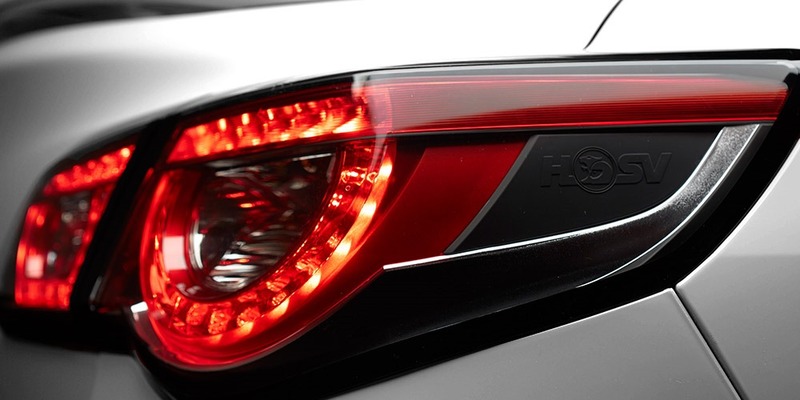 The stunning exterior gets a full body kit with a startling pair of taillights as its crowning glory replete with full LED illumination that has become the bling signiture of the HSV range. It’s all most people will ever see of them as the R8 leaves all in a cloud of dust. The “SV” option includes a power and torque upgrade to 340kW and 570Nm, achieved through the addition of some unique componentry to the LS3 engine including a Bi-Modal Air Intake system, high-flow headers and catalytic converters, a high-flow zip tube and a high-flow Bi-Modal exhaust system. Unique styling cues are provided in the form of a 20” SV Performance forged wheel in Satin Graphite, unique “pitch black” accents on the fender vents and mirror scalps and, for the sedan variant, a lo-line spoiler, also finished in distinctive Satin Graphite. 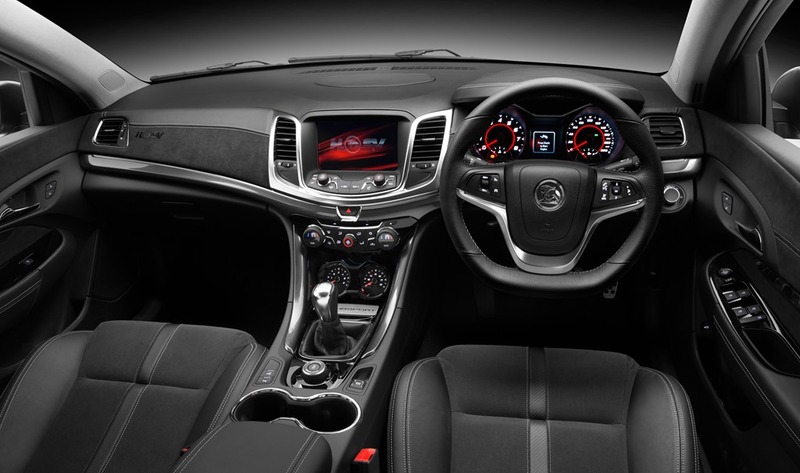 The interior feels softer and more luxurious than previous models without losing any of the edginess that attracts well healed boy racers. It’s the sort of place for the man who has everything. 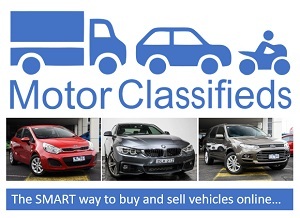 I often mention the “Feel” a car, the one closeted deep inside. Let me explain: All of us enjoy feeling special. We all know someone who has said: “last night? I don’t know what it was but it was gorgeous”. Some might even say “it made me feel like a movie star” and that is the kind of car we all want to be see in whether we admit it or not. 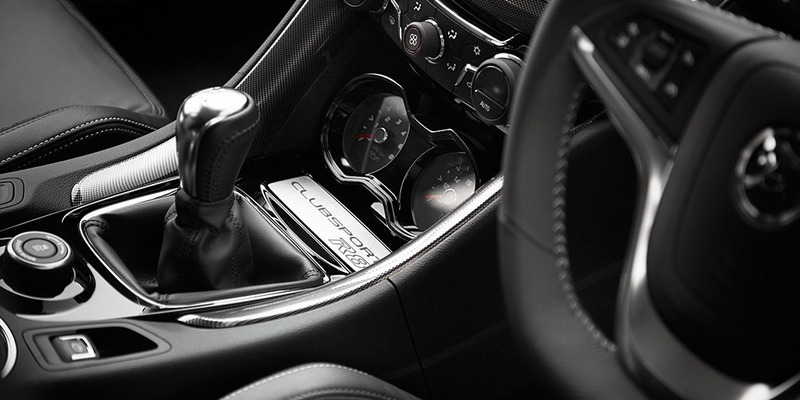 Being inside the R8 feels that kind of special. The brochures give the specs and HSV’s view but even I was surprised at how deliciously driveable the R8 was. Obviously the manual is the business! Coupled to the superb 340KW LS3 6.2L V8, the clutch is light and the gears precise. 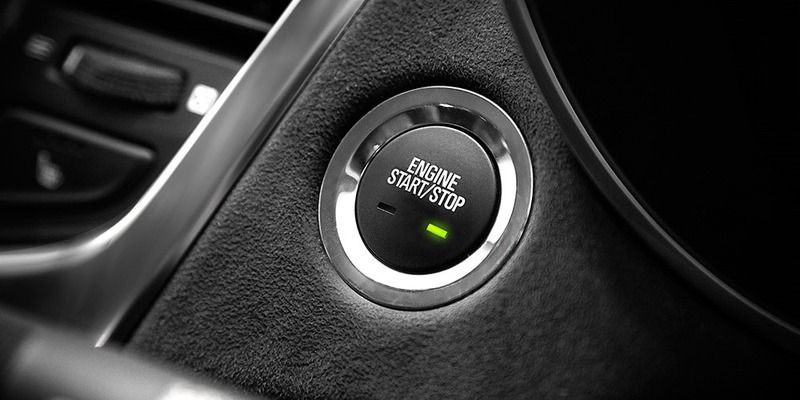 With 6 speeds and 340KW, the V8 can chug around all day in 2nd gear but who would want to? It will sprint to 100 in a smidgen over 5 seconds. Most impressive is the quality of the cabin which is punching way above its weight. Old HSV’s had very firm seats, which while supportive, felt like riding on leather covered bricks. They have power adjustment for good measure. Unlike the racing seats you might find in an Evo, the R8 feels more like a posh lounge chair on steroids. The classy appointments now extend to a sound system which punches out some serious sound. Previous audio systems always sounded like someone had strangled the bass player but the HSV has Bose throughout which feels like being in a live concert. The MyLink means you can stream internet music as well but this is a problem on the open road. As we all know the coverage can be moody with frequent stretches of nothing at all. Caching is the answer and there are some very good apps for Iphone which will allow you to cache you playlist while on WiFi then play then back in the car. It takes money though and costs about $12 a month. The leather has been sprinkled about with gay abandon and it makes you feel cocooned like a luxury car should. Even the back seat gets the same car and attention so should you fancy an airport run your guests will receive the same VIP treatment as we do in the full-priced seats. It’s soft to touch and for the most part the stitching lines up just as it should. The leather cover instrument cluster is a nice touch though it doesn’t extend over the whole dash board. I’d like to see a final special edition completely lined in leather and suede with a Band and Olufsen audio system. 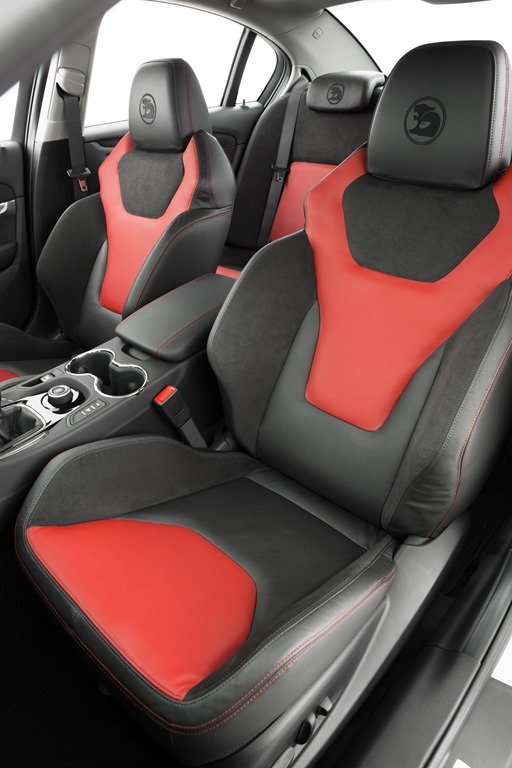 Holden might also look at the cheaper Chrysler 300 SRT 8 for inclusions like heated and cooled cup holders and electric steering wheel adjustment. 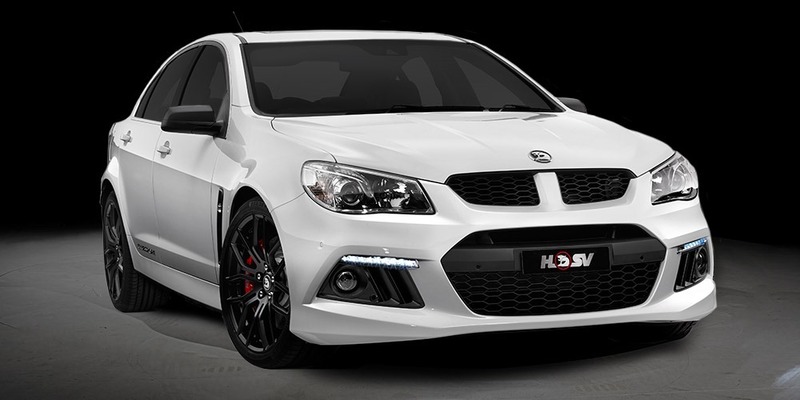 Because the HSV Commodores are at home on a track they up upgraded brakes and put extra beef in the engine, but at the end of the day it’s the cabin that you see each and every time you’re in the car even it’s a quick trip to the shops. It’s the bit a car maker has to get right if they are not going to be thought of as “making do”. Much of the success in the R8 is the sensational donor model they had to work with. 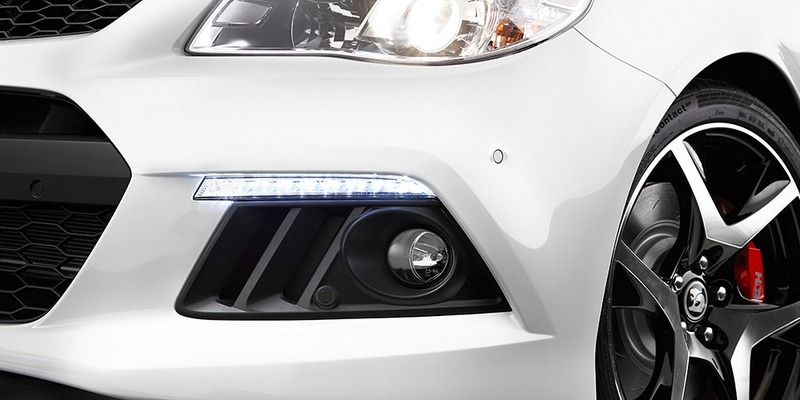 Imagine a sports equipped Calais fitted with racing upgrades and price tag starts to make sense.. The drive, well, it drives the way it looks, fast and blingy. In sports mode it can be loose in the rear end in a beautifully controlled nuclear explosion. The (pushrod) engine is superb. Its low down grunty tones are enhanced with a gentle push on the “sports” button. 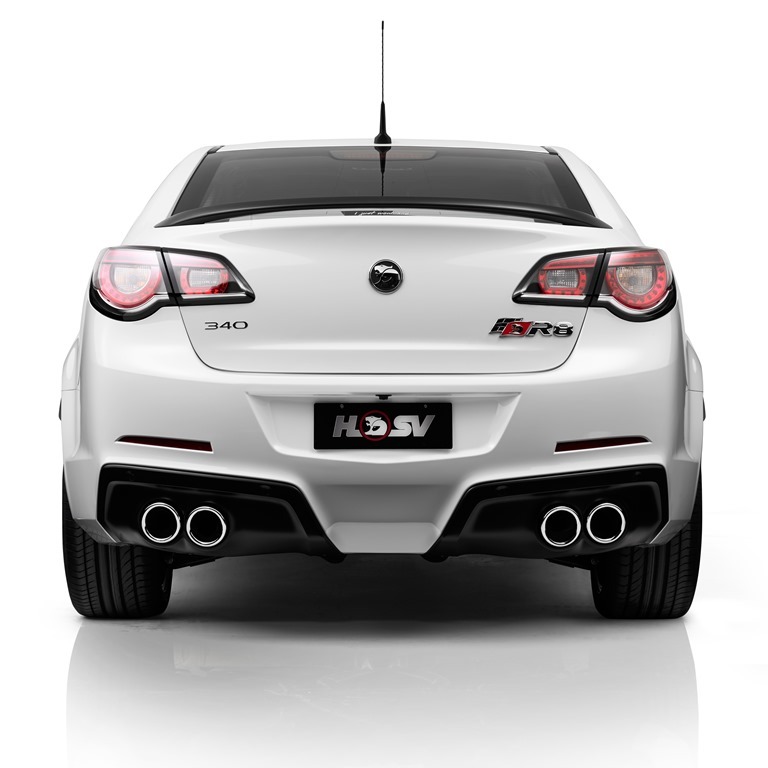 It makes things sportier but more importantly it makes the bi-modal exhaust louder. 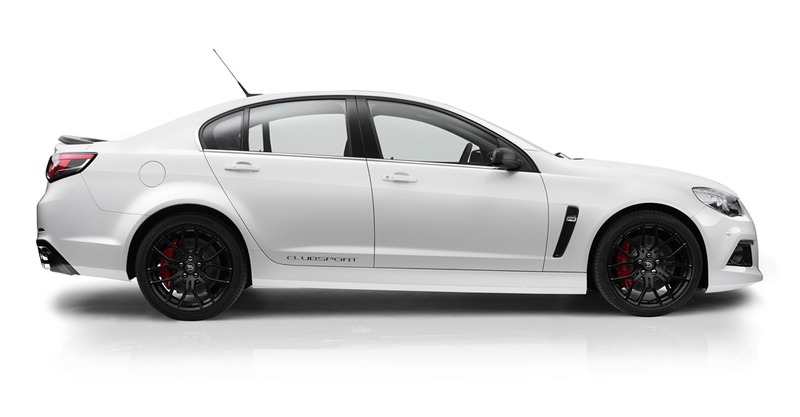 The one fault with most Holden V8’s is they have muffled the beautiful sound so much that it’s almost inaudible. Needless to say the Sports setting is what most of us would use. On a quiet section of private road I took the chance to switch to “PERF” which is the track mode for performance. It feels rather like a jet powered lounge room. It’s easy to light up the back wheel without meaning to and is best left to a professional unless you want to damage yourself. The steering is sharp and the brakes precise. Everything feels alive as if you had pulled on an expensive running shoe soled with spent nuclear waste and bits of Usain Bolt. Normally such vehicles are impossible to drive sensibly especially in the city traffic but the ease of the clutch makes shift-em-yourself gears as smooth as an automatic and far more pleasurable. Unlike modified special Holden V8’s of the past, you can drive the R8 around all day like a nanna in comfort and luxury, then light her up when the mood takes you. I did the La Perouse loop at night. For those who don’t know it, the La Pérouse point is a place where the “lads” hang out in the Evos and other small Jap turbos. At a set of lights nearby, a couple of (gorgeous) boys in an Evo pulled alongside. Inevitably they said “hey man wanna race?” I had just come that way and knew a police car lay in wait around the next corner so I said “yeah sure man”. Do people still speak like that? He roared off without us. As we came round the corner doing well under the speed limit we saw the rozzers having a quiet word with our racing chaps. I hated to do it to a couple of such obviously hot boys but needs must. I’d have happily helped them out of just about any other fix they found themselves in! Finally, if you are tired from all the gear shifting you can ask the car to park itself when you arrive at your destination. It’s the first time I used automated parking in a manual and it worked beautifully. As with all of those fancy self-parking setups you have to control the brakes and accelerator. Added this to Facebook, very useful!